There are many different examples of hospital negligence cases which may entitle you to claim compensation. Among all the fields in medicine, surgery just might be the most highly-regarded. However, that does not stop human errors that might be medically negligent. When people avail medical services, they practically entrust their lives to the doctors that will handle their case. Despite the tremendous service generally provided by an under-resourced health service, there are times when avoidable mistakes happen which would entitle you to make medical negligence claims for compensation. If you have suffered a loss, an injury or the avoidable deterioration of an existing condition which would not have happened had an acceptable level of care been provided for you, you should be able to recover compensation for medical negligence to compensate you for the pain and suffering you have experienced, any additional care you require and to replace any loss of income you may have incurred. Because of the risk of human error in a high pressure environment, both medical practitioners and hospitals carry medical liability insurance to protect them from the risk of financial exposure when medical negligence claims against an individual or claims for hospital medical negligence in Ireland are made. Therefore, when you have suffered a loss, an injury or the deterioration of an existing condition which “on the balance of probabilities” could have been prevented if a more appropriate course of action had been taken, any settlement of compensation for medical negligence is paid by the insurance company and not the hospital or individual who may have been trying their best in difficult circumstances. The most frequent example of hospital medical negligence in Ireland occurs in Emergency Rooms, where doctors who may have no access to your medical records have to make instant decisions in emergency situations. A misdiagnosis or incorrectly performed surgical procedure can occur for many reasons, but provided that an independent “competent” doctor will support your injury claim for hospital medical negligence by testifying that “under the circumstances and at the time” an alternative course of action would have avoided a loss, an injury or the deterioration of an existing condition, medical negligence claims for compensation are likely to be successful. Medical negligence claims can originate from a breach in a duty of care outside of a hospital environment as well. Dentists, chiropractors, opticians, and psychologists in private practice all owe their patients the same duty of care as your family GP or a medical practitioner who works in a hospital. Claims for medical negligence compensation can be made against individuals, private clinics or other medical facilities (for example pharmacies) if you have sustained an avoidable injury which can be attributed to a poor professional performance. Similar to hospital medical negligence claims in Ireland, claims for medical negligence compensation against any private medical practitioner start by making an official complaint to the individual or private practice and you have the same rights as if your claim was being made against a hospital or the Health Service Executive. However, because it is important that your official complaint (irrespective of who it is made to) should not contradict anything you later wish to include in a ‘Letter of Claim’, it is always in your best interests to speak with an experienced solicitor at the earliest possible opportunity. As claims for medical negligence in Ireland are comparatively complex, the Injuries Board will decline to assess any medical negligence claims submitted to them. Therefore, provided that your solicitor believes you have a claim for medical negligence compensation which is worth your while to pursue, he or she will compile the strongest possible case on your behalf to present directly to the negligent medical practitioner or hospital – or their insurers. If sufficient evidence of medical negligence is presented in a “Letter of Claim”, the insurance company may make an offer to settle your claim immediately. If liability for your injury due to medical negligence is denied, it may be necessary to pursue your claim for medical negligence compensation through the courts; although frequently a settlement of your claim will be negotiated before a court appearance is necessary. Insurance companies representing medical practitioners who have allegedly displayed a poor professional performance are unwilling to take a chance on a court finding in your favour and, keen to save money on court costs, may offer to settle medical negligence claims for compensation without admission of liability. How Much Compensation for Medical Negligence in Ireland? As an offer of compensation for medical negligence in Ireland may be made to you directly by the insurance company, it is important that you are aware of how much medical negligence compensation you are entitled to in order that you do not inadvertently accept an offer which is inadequate for your needs. Although this is something that a solicitor may be able to tell you after a full assessment of your claim, it may not be possible to give a final indication of how much compensation for medical negligence you are entitled to until the full consequences of you injury are known. Claims for medical negligence compensation should not only take into account the physical and emotional suffering you have endured due to a loss, an injury or the deterioration of an existing condition, but also the impact that the “adverse effect” has on your quality of life. Therefore, if you are unable to perform day-to-day tasks, attend social events or participate in leisure pursuits, these factors should also be included in medical negligence claims. Indeed it is recommended that you maintain a diary to record the occasions when your injury prevents you from enjoying a full and active life. 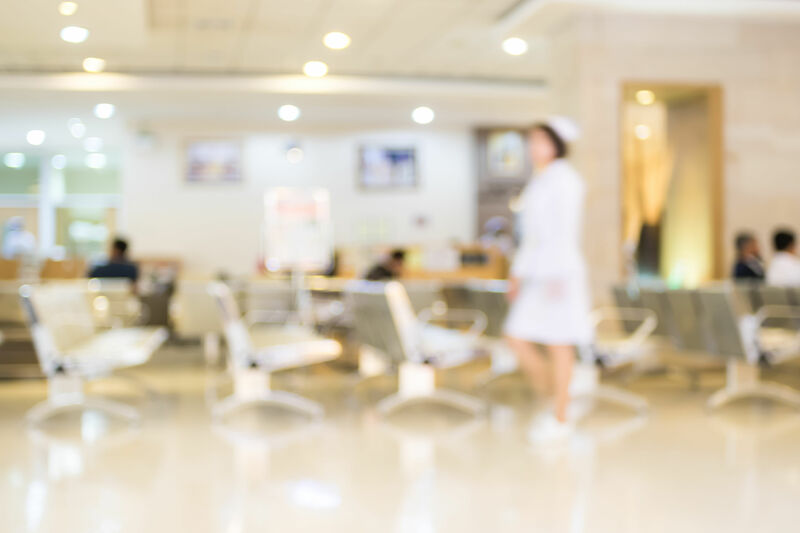 Claims for medical negligence in Ireland also enable you to recover any financial costs you have incurred which are directly attributable to your hospital medical negligence injury. Although in some claims for medical negligence in Ireland, the special damages element may only account for the cost of using alternative forms of transport while unable to drive; more catastrophic hospital medical negligence compensation claims may have to provide a lifetime of care and the restructuring of the family home to allow wheelchair access or a downstairs bedroom. Medical negligence special damages also enable you to recover any income you have lost due to being unable to work. Again, for the majority of medical negligence claims in Ireland, the lost income element may only amount to a few weeks´ wages but, for a child who has suffered a catastrophic injury at birth, compensation for their loss of income has to cover what they may have earned throughout the whole of their life. Both the recovery of expenses and the forecast of lost income have to be justified, and you will need to keep receipts relating to any expense you have incurred, while your solicitor will use the services of a financial expert to calculate future loss of income. If you believe that you or a loved one have suffered a loss, an injury or the deterioration of an existing condition due to a poor professional service by a medical practitioner or hospital staff, you should discuss the circumstances of your injury directly with an experienced solicitor. Our solicitor will assess your case, advise you whether you have a compensation claim which is worth your while to pursue and answer any questions you may have regarding medical negligence claims against an individual practitioner or claims for hospital medical negligence in Ireland. There is no obligation on you to proceed with a claim for medical negligence once you have spoken with a solicitor. It may be the case that whatever treatment you were administered at the hospital would have resulted in the same conclusion but, until you have your claim for compensation assessed by one of our experienced solicitors, you will never know if you have a viable claim.